With major development projects on the horizon and more people coming to live and work in Downtown Jacksonville, it has become a great place for entrepreneurs and small businesses to put down roots. There are so many businesses that are unique to DTJax, some that you may have heard of as well as a few hidden gems. 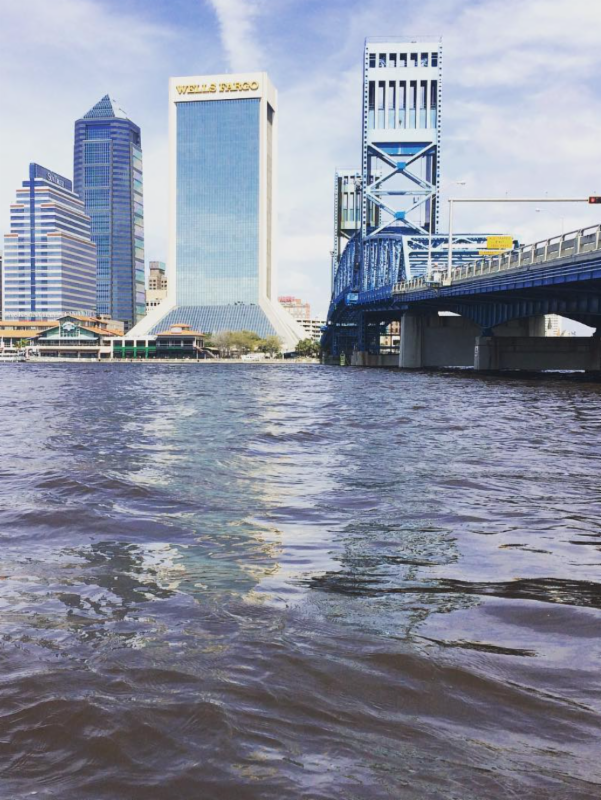 “Found in DTJax” is your guide the shops, restaurants and venues that you can find ONLY in Downtown Jacksonville. Founded in 2016, Manifest Distilling is located in Downtown Jacksonville’s Sports District, home of the Everbank Field and other sports venues. Manifest prides itself in utilizing American-made distillation equipment, as well as using grains sourced from a network of co-ops throughout North America. The distillation process for their spirits is greatly influenced by the Siebel Institute, a brew school that is famous for its techniques. The Standard- A guided tour that gives an overview of the production area, with the chance to view and learn about spirits. Tours end in the tasting room, with free samples of spirits and cocktails. Distiller’s Tour- A more detailed tour of the production process that provides a look into the science of distillation and what goes into making the spirits you love to drink. This tour ends with tasting as well, but with sensory perception, nosing and blind tasting. Private Tastings- Private guided tastings are available for groups of 10+. The distillery’s 9,000 square foot space boasts a modern, upscale design and consists of three versatile spaces: the bar, the tasting room and the distillery. Each space connects with rolling glass doors allowing for a range of private or semi-private events. The bar can host 60 people, the tasting room can host 30 people and the distillery can host 167 people. The selection of spaces allows them to host a variety of different events, such as weddings, birthday parties and business functions. Currently, Manifest offers five different spirits: Potato Vodka, Gin, Rye, Barreled Gin and Florida Citrus Vodka, with several of them earning awards from events such as the New York World Wine & Spirits Competition. Manifest spirits can be purchased in their tasting room, ordered online through EZRA’S shipping to 36 states in the U.S. or found in select stores all over Jacksonville. 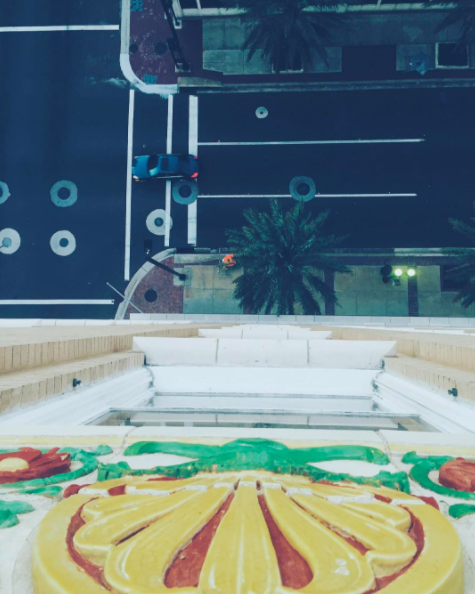 The music scene in #DTJax has always been an integral part of the full Jacksonville experience. The Elbow, the Entertainment District of #DTJax, hosts many music and performance venues in its area. From major headliners to locally known artists, the different music venues allow us to have many options when we are making plans for a big night out. Founded in 2011, 1904 Music Hall has been an iconic part of #DTJax for the past several years. The original building that they are housed in was built in 1904, hence the namesake, and has since been renovated in order to create the current space that we know and love. While they can host anything from private parties to punk rock shows, the 1904 Music Hall is only open when there are events planned, so be sure to check out their events calendar! Maverick’s Live, located upstairs in The Jacksonville Landing, is a nightclub, as well as a large music venue. Hosting a large variety of artists from numerous genres, Maverick’s has something for everyone. Each Thursday night, Maverick’s Live hosts one of the largest country music nights in northeast Florida with free line dancing lessons from 8 p.m. to 10 p.m. and drink specials, such as $10 all you can drink! Upcoming events are listed on their event calendar. Daily’s Place is the newest sports and entertainment destination in #DTJax. Newly constructed in 2017, it sits adjacent to EverBank Field, home of the Jacksonville Jaguars. This venue specializes in big-ticket artists, such as the Kings of Leon and Ms. Lauryn Hill. With concerts nearly every week, Daily’s Place brings a lot of buzz and activity to #DTJax. Be sure to check out their event calendar, as well as our guide on how to have a great time at Daily’s! Mon – Thur 5 p.m. – 11 p.m.
Breezy was established out of a growing desire to bring an inviting jazz music and dining experience to #DTJax. The jazzclub specializes in bringing a unique jazz experience to its patrons. Upcoming events can be found on their events calendar. Each night features a different jazz musician or band. For dinner, Breezy offers a large, themed menu featuring many southern staples, as well as a few fun twists on classic fare. Be sure to stop by for their Sunday morning brunch menu! The Florida Theatre offers well over 200 entertainment events annually, with a wide variety of genres to appeal to the very diverse city of Jacksonville. Opened in 1927, the theatre is one of only four remaining high-style movie palaces built in Florida during the Mediterranean Revival architectural boom of the 1920s. Current programming at the Florida Theatre includes jazz ensembles, punk rock shows, ballets, classic movie nights and more. Upcoming events can be found on their events calendar. On October 14th, TEDxJacksonville will be hosting an annual conference titled We, The People. The Times Union Center for the Performing Arts is a large center consisting of three venues: a theatre, concert hall and recital hall. First opened in 1962, the first performance in the center was by the Jacksonville Symphony Orchestra. By the 1990’s, the center was forced to undergo a renovation costing several million dollars to fix the notoriously poor acoustics in the building. Currently, the center hosts programing such as comedy shows, live theatre productions and concerts. Upcoming shows include The Legend of Zelda Symphony and the Sound of Music and much more, all listed on their event calendar. Whether visiting the museum, attending a concert, viewing a film or listening to a lecture, the Ritz has a unique experience. Their largest event, Puttin’ On the Ritz, is a talent show that showcases what talents #DTJax has to offer. Be sure to check out their event calendar for much more! #DTJax is full of exciting music venues, both old and new. The wide set of choices of these spaces allows us to choose a completely different music experience any day of the week. The Jacksonville Transportation Authority will be hosting a public meeting on the Jacksonville Regional Transportation Center (JRTC), a regional multi-modal transportation facility. The JRTC, as we like to call it, will be located in the heart of the LaVilla area. The state-of-the-art complex will integrate key local, regional and intercity services in one location. Please join us to hear more about this iconic facility. Each year Downtown Vision evaluates the state of Downtown Jacksonville and collects data on how to improve the Downtown experience. If you live or work in DTJax (Northbank, Southbank, Brooklyn/Riverside Avenue, LaVilla or the Stadium District) we want to hear from you. Respondents will be entered into a drawing to win a $100 gift certificate to the Downtown restaurant or retailer of their choice. A winner will be selected in January 2017 and contacted via the email provided. The First Art Walk of the New Year! Interact with local artists, art exhibits, performers and more at the first Art Walk of 2017! Be a part of and enjoy the giant JACKSONVILLE sign in front of the Jacksonville Public Library, Jax Kid’s Mural Project, Cities in Color and more on Laura Street and throughout the 15+ blocks of Art Walk! As always, you can enjoy the food truck village, Front Porch at The Landing, 61+ participating businesses, Art Walk After Dark in The Elbow and more. For more information on the event, visit iloveartwalk.com. Start the year off right by volunteering at the first Art Walk of 2017! Sign up here today. 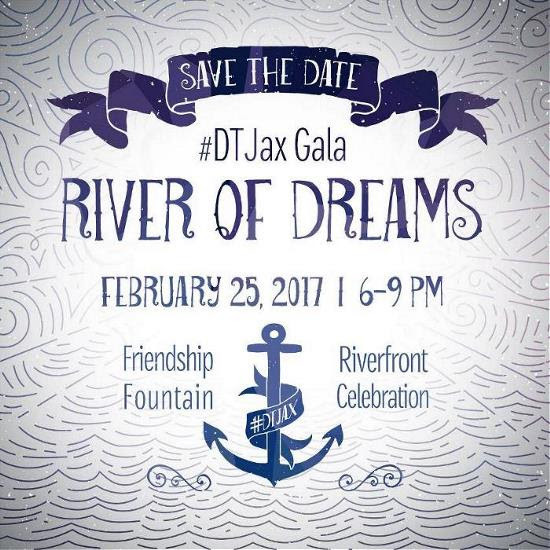 Save the date for our 2017 #DTJax Gala: River of Dreams. Proceeds will benefit a riverfront activation program. Click here for more information on Young Professional and Early Bird tickets. Sponsorship opportunities are available here. 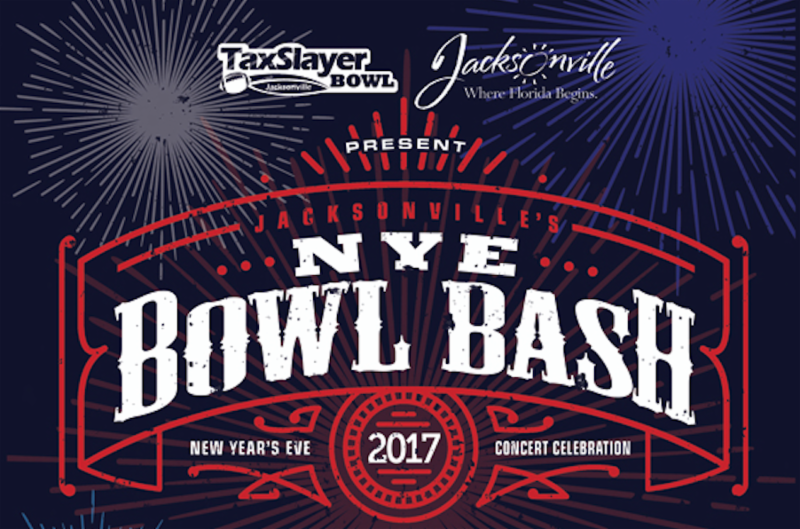 Visit here for a list of all the New Year’s Eve festivities. Start the year off right by volunteering at the first Art Walk of 2017! Sign up here today!